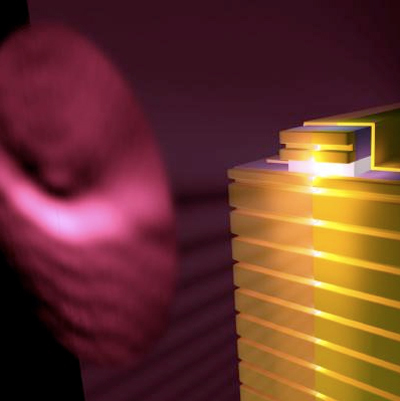 Researchers have now demonstrated a plasmonic collimator that utilizes grooves etched directly into the semiconductor laser facet. If the technique is adopted — Harvard University has applied for a patent on the process — then semiconductor lasers can be downsized to a bare die without a lens. Steampunk, is it Design or just Bad Taste? I never saw ‘steampunk’ as being anything but a style, never a design aesthetic. Like pinstripes and white wall tires on cars of past. To me the ‘punk’ part of the word denotes a sense of anti establishment that says ‘we will create a computer mouse but we will use an obtuse way of making it work’. I think that ‘steampunk’ in the truest sense of the word goes well beyond adding gears and brass nails to something. A good example would be the guy at crabfu.com and the guy at datamancer.net. Both may call what they create ‘steampunk’ but to me only the steam powered remote controlled vehicles at Crabfu are truly works of ‘steampunk’. The other, with its modded cases, is of ‘steampunk’ influence. Then again, I’m not a trained art critic. I personally keep wanting to undertake some form of ‘steampunk’ artistic creation but I just can’t get to the point of coming up with a project that is more than a mere redressing of a modern device. Maybe something like a camphor driven fan or a pencil sharpener powered by a heat engine should be my next muse. Then again maybe I should just succumb to the obvious and marshal some or my old prop making skills to cobble together a wood/brass/cogwork camera case. Eh, it might not be ‘steampunk’ but who can tell the difference? To me it’s still art. Go read Nakamura’s article and see what you think. I have seen these in shops while I was in Bangkok but never on the ‘Net.They have a nice assortment of tiny (5cm) ‘bears’ in various kinds of costumes. Darth Vader, Masked Rider, and of course mecha. The one I had was a key chain, from the pictures I think these are as well.